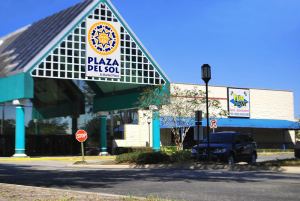 Orlando, Fla. – Strategically located on 192 in Kissimmee, Plaza del Sol is the shopping center of choice for weekend entertainment, food and shopping. The property was purchased by Canadian Investors in 2013 and the area of the mall known as Mercado was remodeled. Notable tenants include Ross, Burlington, Planet Fitness, Foot Locker and Florida Technical College’s Kissimmee campus. Crossman & Company Associate, Rochelle DuBrule is the leasing agent handling all anchor and outparcel opportunities. She can be contacted at (407) 581-6248 or via email at rDuBrule@crossmanco.com.